Prestige High Fields in Gachibowli, Hyderabad by Prestige Group is a residential project. 1st Disney Themed luxury Homes in Hyderabad. Exclusive Apartments with No Common Walls. The size of the Apartment ranges in between 1283.0 sq.ft. and 4070.0 sq.ft. Prestige High Fields price ranges from 78.25 Lacs to 2.48 Cr. Prestige High Fields offers facilities such as Gymnasium and Lift. It is an under construction project with possession offered in Aug, 2020. The project is spread over a total area of 21.85 acres of land. Prestige High Fields has a total of 10 towers. The construction is of 33 floors. An accommodation of 2240 units has been provided. Prestige High Fields brochure is also available for easy reference. With a number of infrastructure developments taking place in the city, the real estate market of Hyderabad is on an upswing since the establishment of IT industry. The establishment is solely responsible in creating job opportunities leading to migration of working professionals in the city and generating demands for residential projects in Hyderabad. The residential real estate of the city has a mix of luxury, mid-segment and affordable housing units. Talking about the commercial real estate of the city, it witnesses positivity in this segment also catering to demands generated here. In all, the market is positive and expected to grow positively in the coming times. Where is Prestige High Fields located? The project is located in Gachibowli, Hyderabad. What are sizes of apartments in Prestige High Fields? The apartment sizes in the project range from 1283.0 sqft to 4070.0 sqft. What is size of 2 bhk in Prestige High Fields? 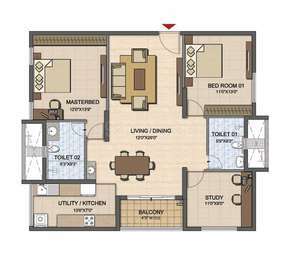 The area of 2 BHK apartments ranges from 1283.0 sqft to 1492.0 sqft. 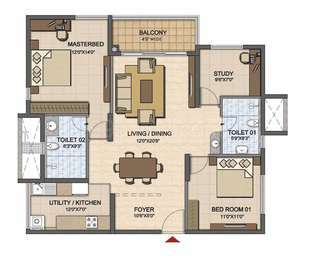 What is total area of 3 bhk in Prestige High Fields? 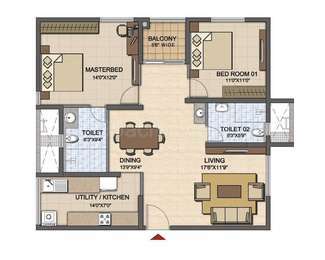 3 BHK units in the project are available in a size of 1742.0 sqft to 4070.0 sqft. What is the 4 bedroom size in Prestige High Fields? 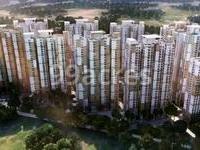 Four-room units (4BHK) in the project are available in an area of 2713.0 sqft to 2848.0 sqft. How much is the total size of Prestige High Fields?The project is spread over an area of 21.85 Acres.